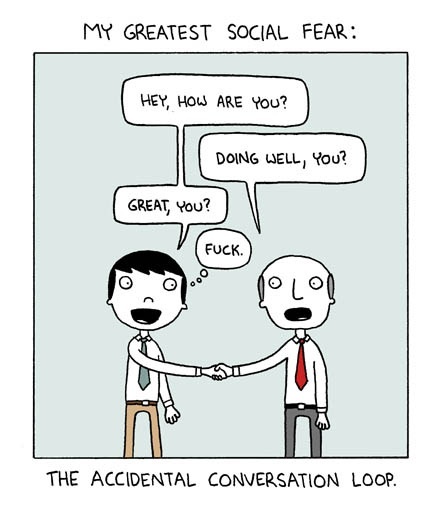 My greatest social fear: The Accidental Conversation Loop. Created about 4 yrs, 11 mths ago (May 15, 2014). Updated about 4 yrs, 11 mths ago (May 15, 2014).